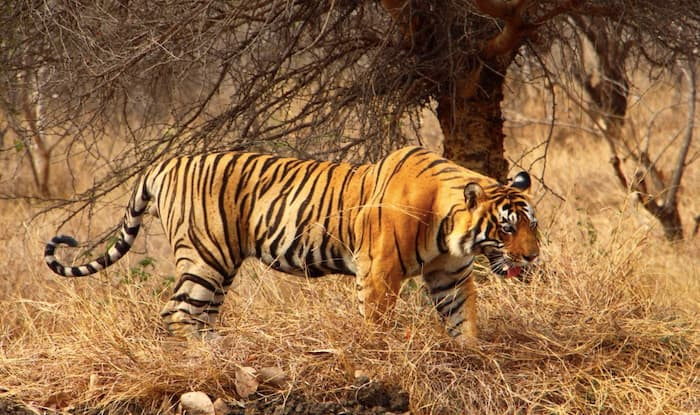 Kalakad Mundanthurai Tiger Reserve is Extremely Rich in Biodiversity, Which Makes it a Must-Visit. Kalakad Mundanthurai Tiger Reserve is the second-largest protected area, located in the southern Western Ghats in the state of Tamil Nadu. The Reserve was created in 1988 by combining Kalakad Wildlife Sanctuary and Mundanthurai Wildlife Sanctuary, both of which were established in 1962. Covering nearly 900 square kilometres, the combined area of the two sanctuaries is a treasure trove for wildlife enthusiasts and photographers. Extremely rich in biodiversity, one can spot wildlife here surrounded in dense, dark tropical moist evergreen forest cover. Unique in its climate and vegetation, the sanctuary has a unique and different forest cover, with different parts of the forest receiving different amounts of rainfall. The lower forests receive an average annual rainfall of less than 1,000mm while the upper forest gets more than 4,000mm rainfall each year. The upper reaches of the forest is tropical wet evergreen while the lower is mainly dry deciduous. Mundanthurai, in fact, is a great place to connect with nature. There are trails for trekking and you can do so at these designated places after seeking permission from the forest and wildlife authorities. Apart from endemic flora and fauna, a variety of avian life thrives in these forests. You can spot birds such as the grey-headed bulbul, great pied hornbill, malabar grey hornbill, oriental bay owl and broad-tailed warbler. Among the mammals, you’ll spot the royal Bengal tiger, leopard, mouse deer, rusty spotted cat, brown palm civet, sambhar, spotted deer or chital, malabar giant squirrel, the nilgiri langur, sloth bear, bonnet macaque, brown mongoose, Indian pangolin, nilgiri martin, and herds of wild elephant. The average temperature in the summer is 44 degree while in winters it is a pleasant 24 degrees. Therefore, the best time to visit here is between October and January. Monsoon arrives rather late here as compared to the rest of the country. Mundanthurai is 45km from Tirunelveli, and the nearest airport is Trivandrum Airport, about 200km away.